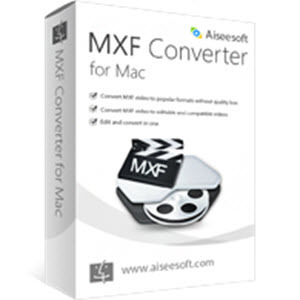 Aiseesoft MXF Converter for Mac is the best solution to play MXF files on Mac and import MXF/P2 MXF recordings shot by camcorders to optimal profiles for editing in Final Cut Pro, iMovie, Final Cut Express, Adobe Premiere, and Avid Media Composer etc. Transcode MXF files into editable footage in FCP, FCE, iMovie, Avid Studio, Adobe Premiere, etc. Turn MXF video compatible with any player, including iPhone 6 Plus, iPhone 6, iPad Air/mini 2 etc. It is the best way to resolve the problem of editing MXF files recorded by your camcorder in Final Cut Pro, iMovie, and other professional video editing software. It supports optimal profiles for certain editing software, like Apple ProRes, DVCPRO, HDV, Avid DNxHD, XDCAM, and Apple InterMediate Codec (AIC). With this MXF Converter, you can import your video recordings into iMovie, Final Cut Pro, Final Cut Express, Adobe Premiere, and Avid Media Composer for professional editing. 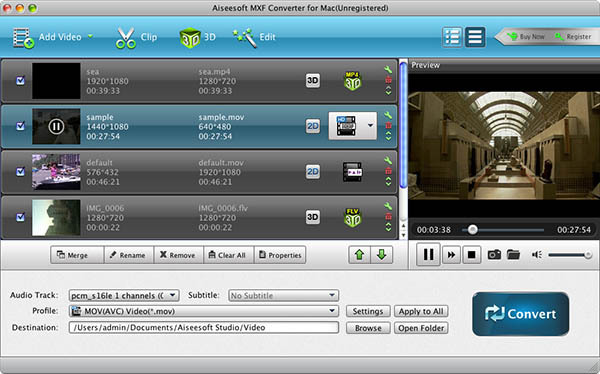 The MXF Converter has numerous output profiles, covering all popular video formats, including MP4, MOV, MKV, AVI, WMV, FLV, SWF, M4V and popular HD video formats like H.264/MPEG-4 AVC, HD MP4, HD MOV, HD AVI etc. It supports all popular devices, including the latest iPhone 6 Plus, iPhone 6, iPad Air/mini 2, Samsung Galaxy Note 3. After converting, the recorded MXF file can be played on your computer directly or on any other possible player. Under Edit column, you are enabled to adjust the video effect like brightness, contrast, saturation, hue and volume. Crop function allows you to remove the black bars from MXF videos and change the aspect ratio to get a full screen video. 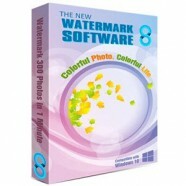 Add watermark with text/picture and define the text color/font/transparency/position as you like. What’s more, you can even turn the 2D video into 3D with optional 3D modes and settings. 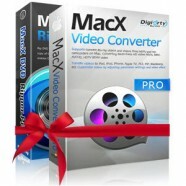 For Mac MXF users, this Converter brings peerless using experience. High quality conversion with zero quality loss, unmatchable converting speed, humanized feature design, user-friendly interface and simple operation, all these are reasons why this MXF Converter for Mac worth a try. Preview the input and output video so that you can conveniently adjust the video effect. Provide various video and audio output parameter settings and let you save settings as user-defined profile for future use. With advanced encoding and decoding technology, this MXF Converter for Mac assures you fast conversion speed and high output quality.